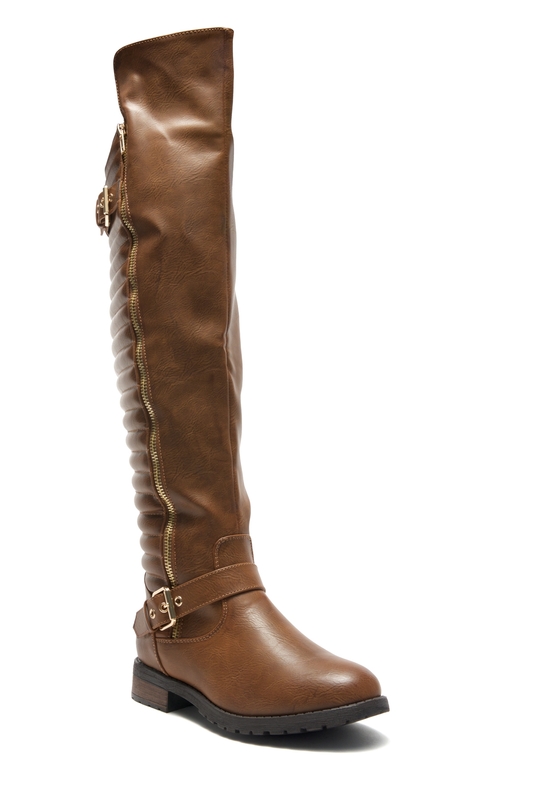 Leave it to us to bring you style and comfort! Whether you're out with your girls or stepping out for date-night, you'll want to ditch your heels for this stylish comfy pair. 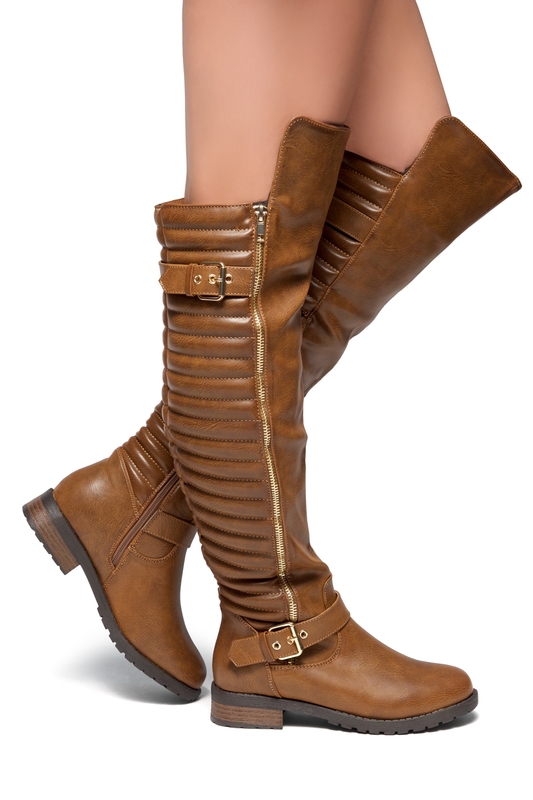 Tense features a round toe, stacked heel, thigh high construction with buckle and zipper detail, side zipper closure and a lightly padded insole for comfort. Comfortable, stable, and in good shape after a few months of using this! I love these so much! No complaints or issues at all! I commute by train and I do a lot of walking, and it is very comfortable. It looks good with jeans, leggings, skirts...very versatile. Overall a great buy! 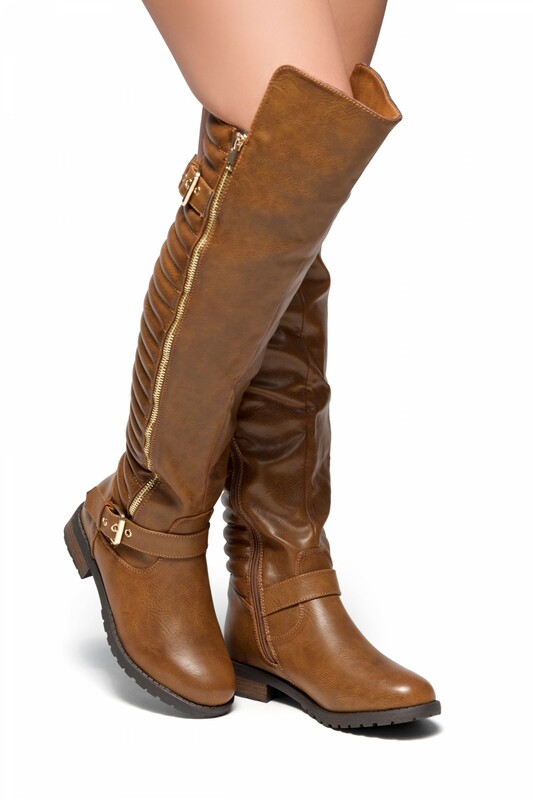 This riding boots is awesome! I will shop more to get another styles of shoes. 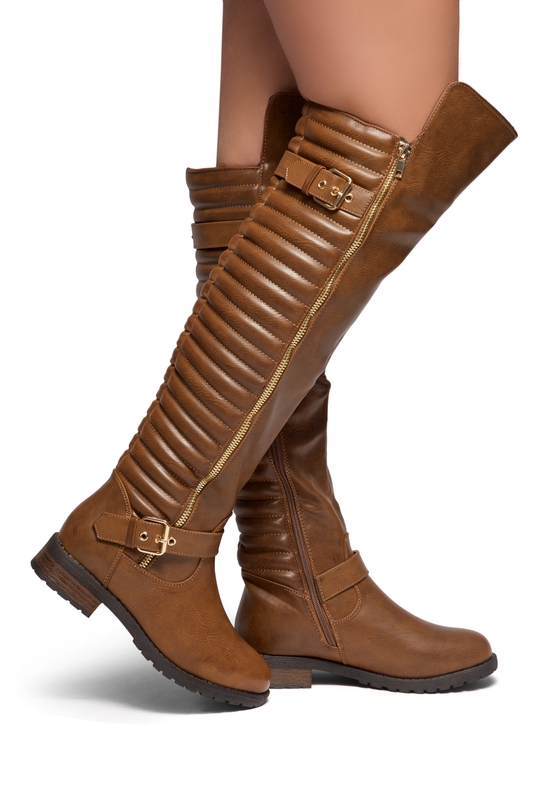 Comfy and fashionable! Social media worthy post!